Golf tournaments are always searching for affordable golf outing gifts to put in their goodie bags that players will appreciate yet won’t break the budget. 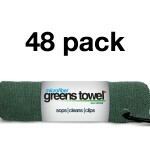 Microfiber Greens Towels are the perfect solution because golfers like a convenient microfiber golf towel to keep their equipment in peak playing condition and they cost less than $5.00. Greens Towels are the ideal golf outing gift idea. 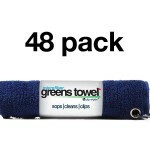 Perfect Size – Many golf towels are just too big. 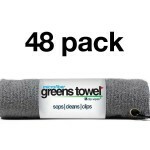 Greens Towel is perfectly sized (16″ x 16″) to keep handy in your back pocket so it’s there when you need it. 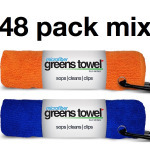 Under $5.00 – Experience the benefits of putting a Microfiber Greens Towel in your event gift bags – Players will use and appreciate them. 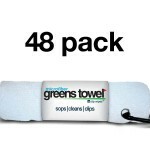 Greens Towels are the ideal golf outing fundraiser gift. Greenstowel.com is your headquarters for golf tournament gifts and golf outing prizes. One of our company missions is to help Charitable Golf Tournaments with fundraiser gifts. In fact, we have donated to hundreds of Charity Golf Outings with unique goody bag gift idea for their events. Over the years we have helped church fundraisers, outings for schools and athletic programs, military veterans and wounded warriors events, golf tournaments for various disease-related causes, homeless and children-related tournaments, first responders, and many other awesome charitable fundraiser causes. Please go to our testimonials and read what tournament organizers like you think about Greens Towel!